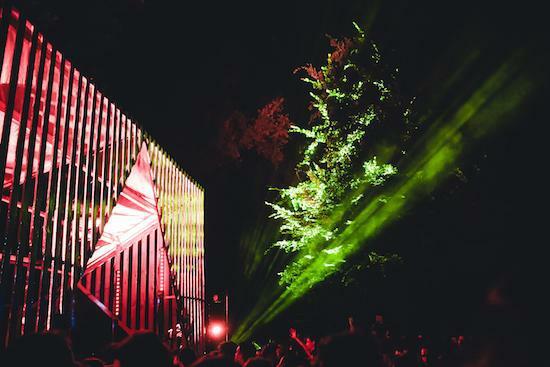 Each year, Italy's Terraforma pulls together a line-up focused on some of the best names in experimental electronic music, while maintaining a commitment to environmental sustainability. The first acts have now been announced for this year's event, the festival's fifth, with Donato Dozzy set to make his return following a standout closing set at last year's festival. Also set to play are Plaid, who team up with Felix's Machines for a show which promises to combine "handmade audio-visual sculptures with synchronised hypnotic patterns of light and movement". Iranian percussionist Mohammad Reza Mortazavi, fresh from a brilliant collaborative EP with Burnt Friedman, will also play, as will Nkisi, Imaginary Softwoods and Don't DJ. More acts are due to be announced in the coming months. Terraforma takes place in the picturesque surroundings of the 17th century Villa Arconati just outside Milan. This year's event will run from June 29 - July 1. For tickets, and more information, head here. Read our review of 2017's event here and check out Donato Dozzy's bracing closing set from last year just below.